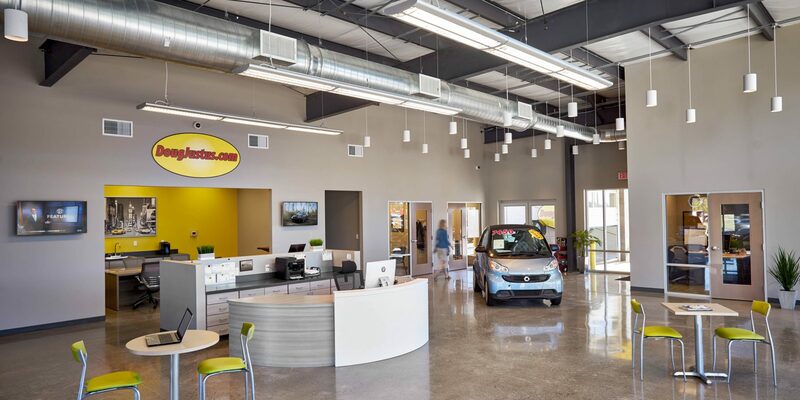 The new facility for the Doug Justus Auto Center was to create a place that would welcome customers, as well as reflect the Doug Justus brand, by using a contemporary design strategy. The layout and design elements were created with a focus on the automotive customer. 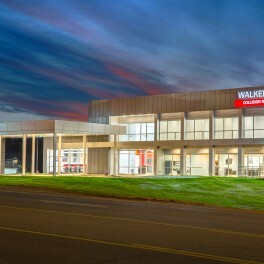 The new facility differentiates itself from traditional pre-owned automotive dealers by providing a contemporary interior and exterior design similar to the approach that many new, modern auto dealerships have embraced. 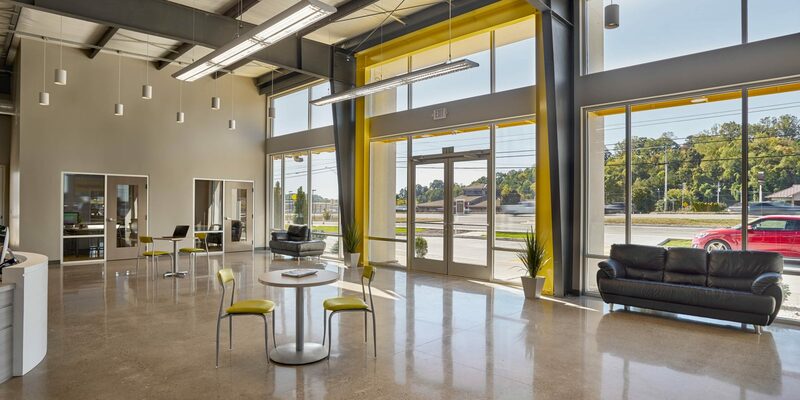 The center provides a state-of-the-art showroom, a comfortable and inviting lounge space for customers that offers stations for web browsing the auto inventory, and brand new staff offices. With collaborative efforts the final design displayed a space with intuitive design that is furnished in a modern, yet functional fashion. 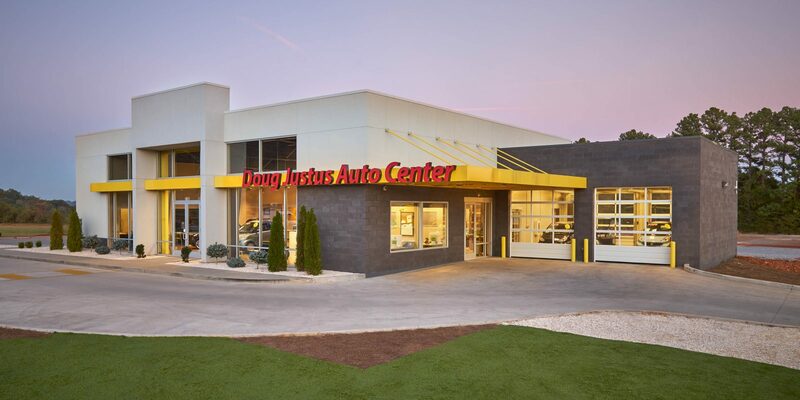 The illuminated red letters against the bright yellow custom canopy at the front of the building fits the sleek design of the space and reflects the established Doug Justus brand. 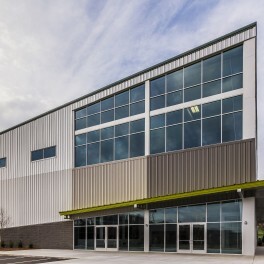 In addition to its eye-catching exterior design, the automotive center features a state-of-the-art interior, making use of natural light and modern interior design.